Cornus florida: Exquisite white petals on a single branch. I used a branch from my dogwood tree as reference for this piece. 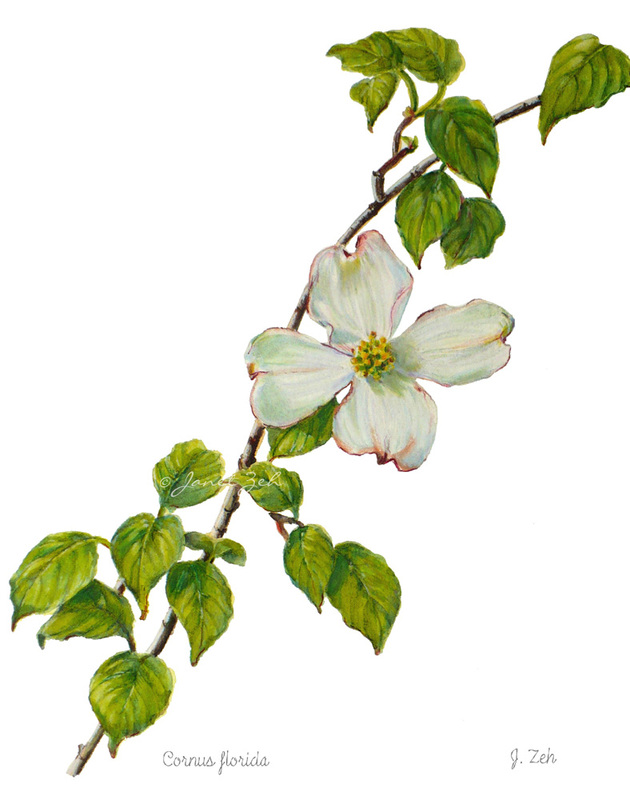 Dogwood Botanical print comes in several sizes and print options. Click the Order Print button below for sizes, options and prices. This is also available as an original painting in watercolor size 15x11 inches - $295. Please contact me to purchase.